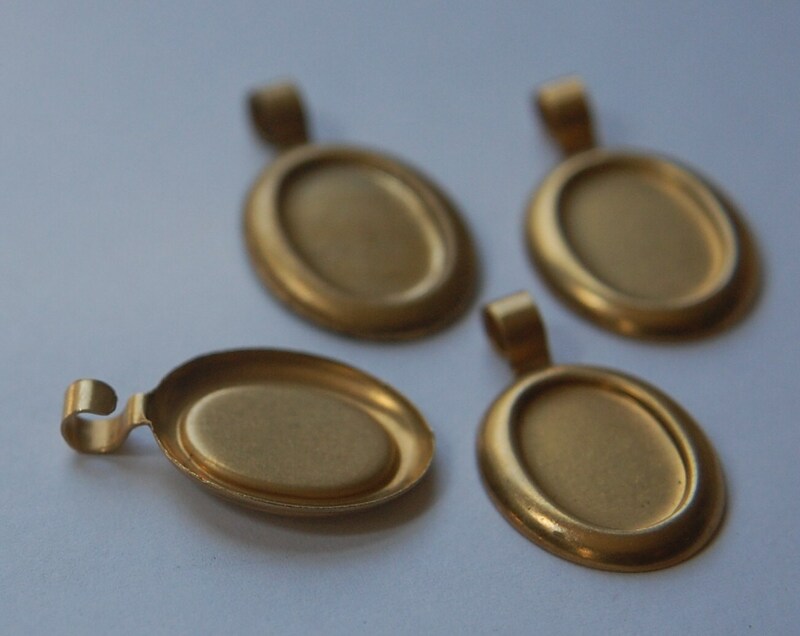 These are raw brass settings with a rolled edge. They have an attached bale that is open in the back. 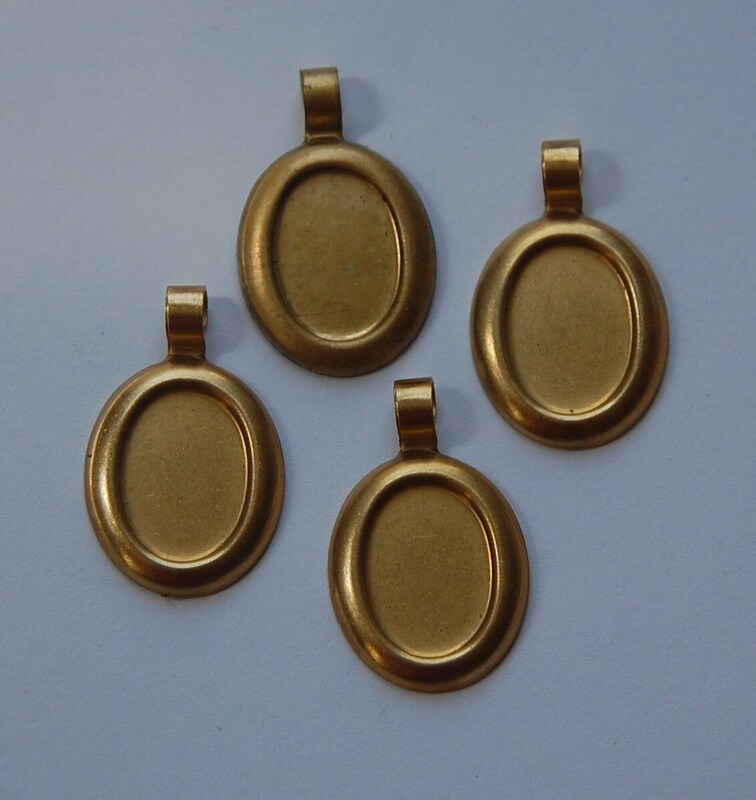 These are great for fitting over a thicker chain or cord style necklace. The setting holds a 14mm x 10mm cabochon or stone. You will receive 4 pieces. These bails are very nice...simple but elegant.